Children across the nation voted for the topic of this Fly Guy Presents book, and the winning topic was... CASTLES! 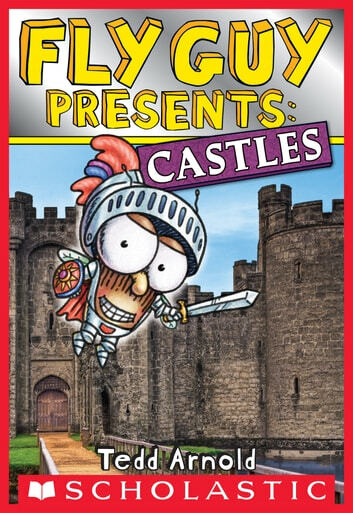 On their latest field trip, Fly Guy and Buzz learn all about castles: from drawbridges and dungeons to kings, queens, and knights! Award-winning author/illustrator Tedd Arnold brings nonfiction to life for beginning readers. There are humorous illustrations and engaging photographs throughout. The front cover features eye-catching holographic foil!